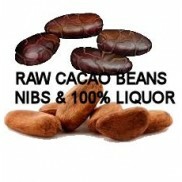 We have crafted these products from whole cocoa beans. 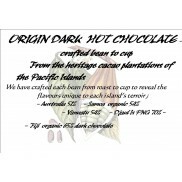 Specially roasted, ground, refined and conched for chocolate beverages. 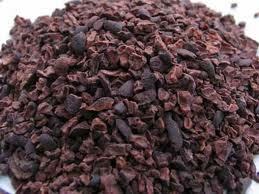 Each bean we use has the flavour and aroma unique to the terroir of its origin. 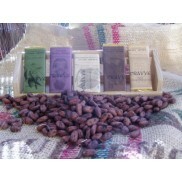 Hence all the natural sweetness of the bean is un-altered and these chocolates contain 50 to 80% less sugar. 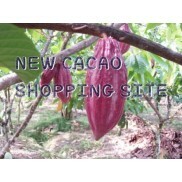 The only couverture dark chocolate specially made for hot /ice chocolate. 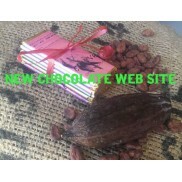 This African chocol..
Crafted from cacao powder and cacao liquor (whole cacao bean paste) this drinking chocolate has t..
From the West Coast of Africa, a very smooth drinking chocolate, nice cocoa depth and hints of va..
A sweet chocolate perfect for cappuccino's , simply dust on top 20gm of chocolate + 200ml hot..